We are proud to introduce Arkane Network. Arkane is an open network for building blockchain applications and will launch officially mid October 2018. Today we launch the website and APIs that can be used to start building blockchain applications faster. Visit arkane.network for more information and to pre-register for early access. Arkane is a multi-blockchain wallet provider that builds an open network between individuals, ecosystems and dapps. It connects you to several blockchains in a safe, secure, transparent and user-friendly manner. 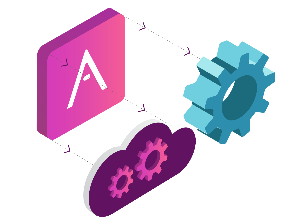 Developers and projects can use Arkane as a building block to help them leverage the power of blockchain technology and to build multi-chain applications. It offers easy access to blockchain infrastructures via a set of developer tools, such as SDK’s and API’s. Individuals can also use Arkane to track and manage wallets on multiple blockchains. It offers user-friendly transactions, a global overview of their balances and activity, and access to a network of dapps with built-in Arkane support. What can Arkane do for me? I’m a crypto enthusiast, why would I use Arkane? One account and one place to manage all your wallets. Have a clear overview of all your wallet activity. Ability to transfer crypto to any of your crypto and non-crypto friends. Get access to a network of dapps with built-in Arkane support, such as Ethereum’s development framework Truffle. I’m a developer, why would I use Arkane? Arkane Network is developed by FundRequest. Why did we build Arkane? Arkane was built out of a functional and technical need within FundRequest. Although blockchain has become popular in the last year, we can safely say that blockchain hasn’t achieved mass adoption and that is because the learning curve is still too steep. With FundRequest, we want to lower the entry barrier and be able to provide a blockchain wallet for every new user as a part of our on-boarding process. While we were discussing these adoption problems with our customers and partners, we realised that other projects have similar needs. Therefore, we’ve decided to take on a holistic approach and to develop these features as a separate service. Does Arkane plan to launch an ICO? No, Arkane will not launch an ICO and we are exploring various models to include FND as utility token in a non-intrusive way. Visit Arkane.network for more information and request your invite for early access.